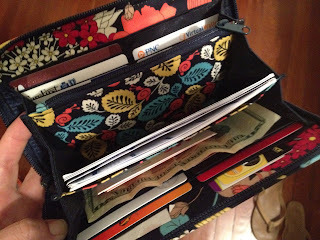 I finally did it, I finally switched to my Accordion Wallet and it was about time, my Turn Lock Wallet was getting pretty old and worn out. I was also carrying stuff that I didnt need, like two library cards from California and an expired zoo pass. Everything seems to fit nicely, we shall see how it goes! I agree. The turnlock wallet is my *favorite*. But I would totally get an accordian wallet to match one of my other bags. More Vera? Yes, please! Turn lock is also my favorite, but at the factory sale I grabbed an accordian just like the one you have pictured and I'm using it currently. I am liking it so far but I keep forgetting which side my things are on. I do like that I can just throw a little bit of everything in there and it's all secure though! I almost got the accordion a couple of weeks ago, but decided on the strap wallet instead. I can use it as a regular wallet, or just take it alone and go. 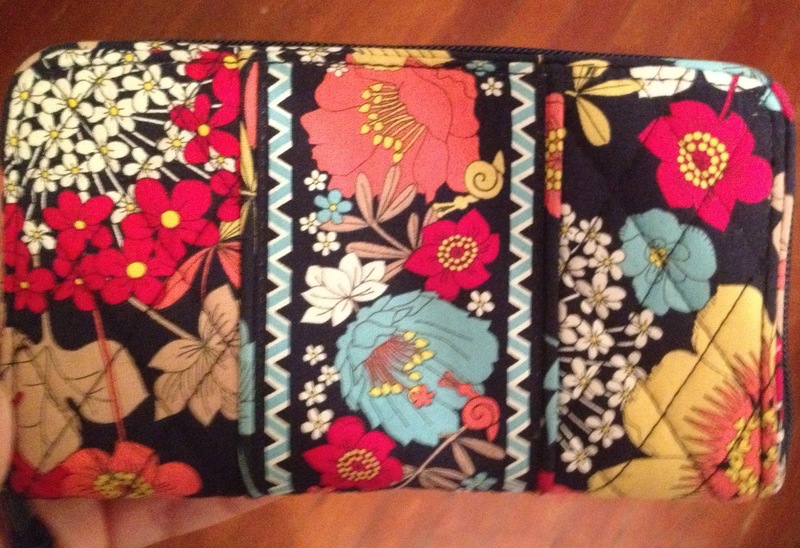 I also love that the strap wallet has a big enough compartment to hold my phone with a zipper pocket. I also have an Opera wallet I bought during an on-line sale that I haven't used yet.